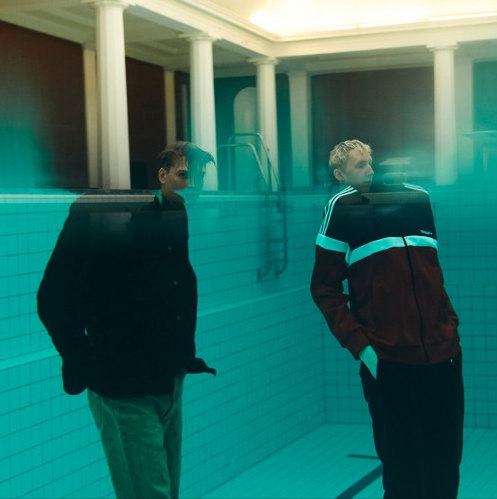 Synth-pop duo GENTS are proving themselves as the latest exciting sound to come from Copenhagen’s burgeoning scene, with their third single, ‘Lost In The City’, taken from their forthcoming LP ‘About Time’, released via The Big Oil Recording Company. ‘Lost In The City’ is an ode to embracing the unknown. For GENTS, uncertainty isn’t necessarily a bad thing. “Sometimes you don’t know what you are looking for, and then it can be rewarding just giving in and letting the flow bring you to new places.” The duo describe the feel of the track as “Bruce Springsteen finding himself in a 90s club. With Theis Vesterløkke on synths and production and Niels Fejrskov Juhl’s characteristic baritone vocals, GENTS’ sound is founded in a shared passion for 80’s synths and drum machines, alongside obvious nods to distinguished crooners Elvis, Scott Walker and Rick Astley. Their sound screams fun, but the duo are keen to emphasise their sincerity in what they do. Talking to Soundvenue, Niels describes their ambition to write songs which move people, but always with “a twinkle in the eye”. Citing artists such as Wham!, Tears for Fears and The War on Drugs as influences, the pair champion musicians who are not afraid to open up their hearts and use music as a direct mode of expression, with no distance or irony. ‘Lost In The City’ follows up on their previous single, ‘Brother’, which was complemented by a video premiere on C-Heads and further support from the likes of Ja Ja Ja and London on the Inside. Having also featured on Sound of Copenhagen’s compilation of rapidly rising stars for their debut single ‘Young Again’, there is much more to come in 2017 from the Danish synthpop duo.